Coolants/Antifreeze are an important fluid to help keep the vehicle running correctly. 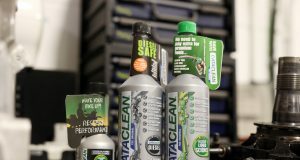 It is very important to have this product in the vehicles cooling system all year round but in winter it gives the additional benefit of freezing protection. Aside from cooling the engine and preventing it from freezing the products have another very important function, corrosion protection. This is a key performance benefit of the product that is often overlooked when selecting a product. There are several different types of corrosion prevention technologies from Silicate based to Organic Acid Technology, quite often a hybrid of the two technologies is used. Another common mistake is to identify coolants simply by their color. The color of the product is not determined by the chemicals it contains, it is simply a colorant that is added to the product. Due to this different coolant manufacturers are free to use colors of their choice. Therefore one Yellow colored coolant may not necessarily be the same as one from a different manufacturer. Like on engine oils vehicle manufacturers have developed specifications that perform best in their cooling systems as different vehicle manufacturers use different materials in their engines and cooling systems. Due to this it is very important to use the correct specification product in the system to maximize the life of the vehicle cooling system. Failure to follow vehicle manufacturer recommendations can cause corrosion in the system that can ultimately lead to premature component failure. 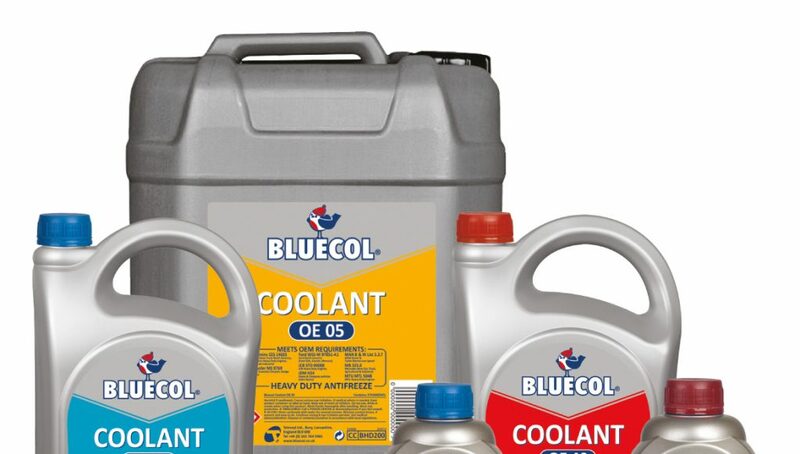 Bluecol offer a range of coolants that cover the majority of the market requirement in both passenger car and commercial vehicle applications. As well as meeting the corrosion protection of most major vehicle manufacturers these products also offer freeze protection down to -36°C when diluted 50:50. 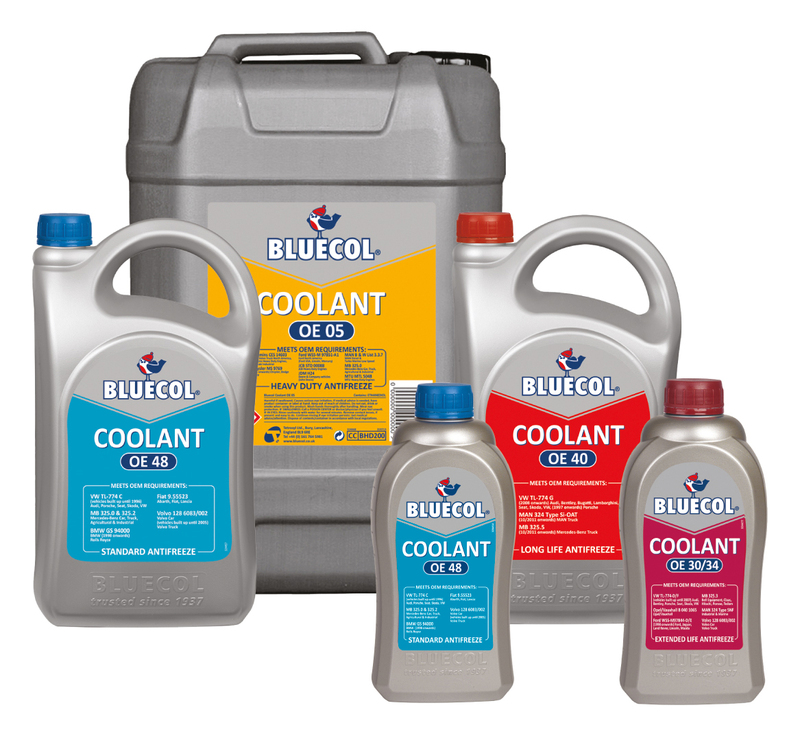 Due to the presence of Ethylene Glycol in coolants, ingestion can cause serious health issues therefore as mandated by the current British Standard for coolants all Bluecol products contain bittering agent to help prevent accidental ingestion.